Challenge: Lengthy release cycles inhibit ability to bring new features and improvements to market quickly. Solution: Developed a detailed strategy for a CI/CD enabled transformation. Challenge: Create a better customer experience and get products released faster. 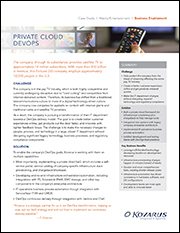 Solution: Build a private cloud and integrate new systems with legacy systems. 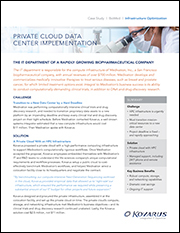 Challenge: Streamline and optimize delivery of desktops and applications; improve access and workflows; ensure compliance and patient desktop virtualization & centralized application deployment; data security. 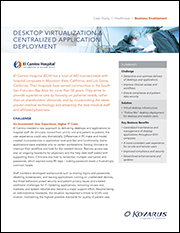 Solution: Deploy virtual desktops and "Follow Me” solution for desktop and mobile users. Challenge: Update or replace a home-grown, unsupported infrastructure provisioning portal used to shorten the IT response time of customer support engagements. Solution: Designed a new enterprise-supported and customizable system, built it out in identical pods for the client’s five worldwide data centers, and customized each environment for local requirements. 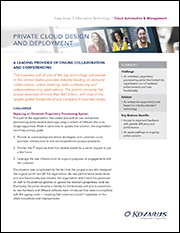 Challenge: Multiple business units using cloud providers and outdated legacy technologies. 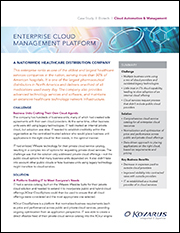 Solution: Create a comprehensive cloud service catalog for all enterprise cloud resources; create data-driven approach to placing applications on the right cloud, based on requirements. Challenge: Business continuity and strong security are important competitive differentiators. Slow bandwidth delivery hampered employee productivity and affected customer service. Different WAN configurations and server setups among branch offices create IT support challenges. 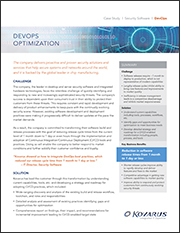 Solution: High availability and reliability significantly improve business continuity. 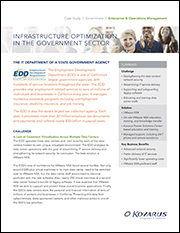 50 percent drop in branch office system infrastructure operating costs by eliminating segregated server management, maintenance, licensing, and energy consumption. Users experience consistent, reliable connectivity, and application performance in any location. 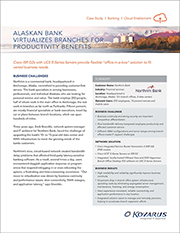 Integrated solution easier to manage and remotely provision, helping to accelerate branch expansion efforts. Challenge: Strengthen data center network security; streamline IT service delivery; support legacy software; educate and train data center staff. Solution: Deploy VMware NSX; manage support including 24/7 phone and remote assistance; provide onsite education and training. Challenge: Need high-performance computing (HPC) infrastructure and transition mission-critical resources to a new data center. Solution: Build private cloud with HPC infrastructure; manage support including 24x7 phone and remote assistance. 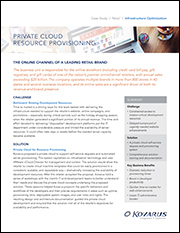 Challenge: Constrained access to mission-critical development resources; delayed turnaround of urgently needed website enhancements; private cloud resource provisioning. Solution: Build a private cloud, self-service request and provisioning system; comprehensive solution training and documentation.